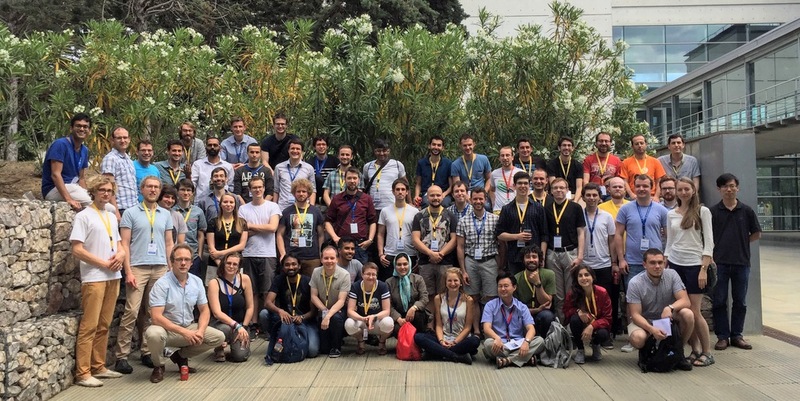 In 2017, the ETSF Young Researchers’ Meeting made its way to Tarragona, Spain for the first time. Sunny weather, great food, a beautiful old city and the kind hosts at the Catalan Institute for Chemical Research (ICIQ) provided a fantastic setting for a week of science that will stay in our memory. The Young Researchers’ Meeting (YRM) of the European Theoretical Spectroscopy Facility (ETSF) is a workshop organised by young researchers for young researchers. 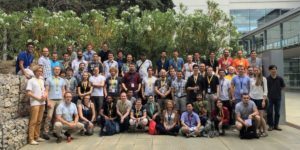 Every year, postdocs, PhD students and Master students gather from all over Europe to discuss problems and recent advances in theoretical and computational methods for the study of the electronic and optical properties of materials. The YRM is where you can present your work in progress, float new ideas, and learn from others at your own level – both scientifically and personally. Talks at the YRM are 25 minutes, which gives you enough time to introduce your topic, what you did and, crucially, how you did it. Each session starts with an introductory keynote that provides an overview of the field, introduces the theoretical framework and points out open questions. Structure prediction and phase transitions were introduced by Dr. José Flores-Livas (University of Basel), who walked the audience through different ways of navigating the vast chemical space. Strongly correlated electrons and quantum magnetism were introduced by Dr. Hugo Strand (University of Fribourg), who provided a bird’s eye view of the many-electron problem and ways of tackling it, ranging from bare perturbation theory over dressed perturbation theory to non-perturbative methods. 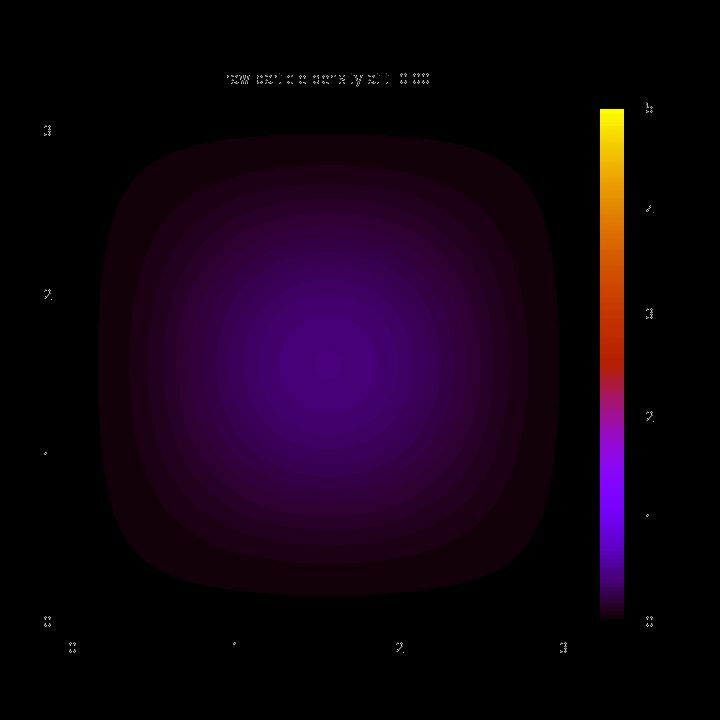 Electronic excitations may be charged or neutral. 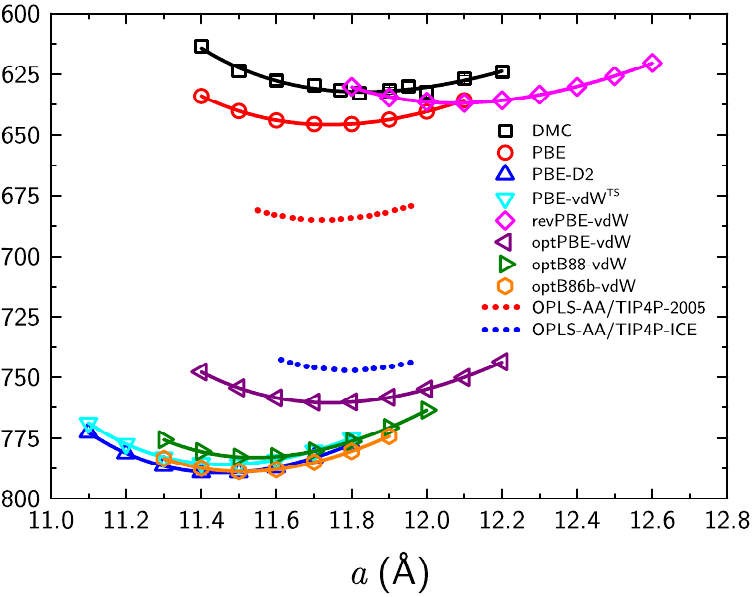 Dr. Michiel van Setten (Université catholique de Louvain) introduced the GW approximation as a method for describing charged excitations ab initio, focussing in particular on progress and challenges in its practical implementation. 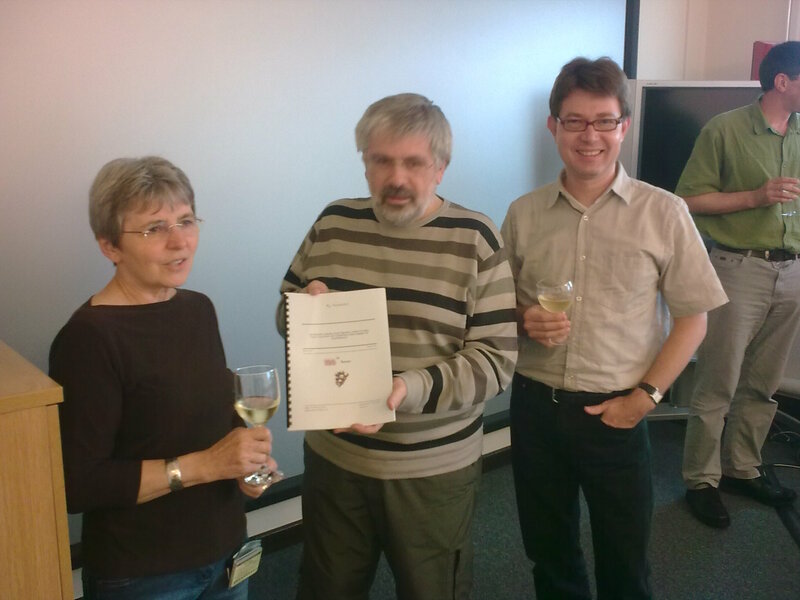 Dr. Sabine Körbel (Institute of Physics of the Czech Academy of Sciences) went on to introduce neutral excitations and the prediction of optical spectra using the frameworks of time-dependent density functional theory as well as the Bethe-Salpeter equation. 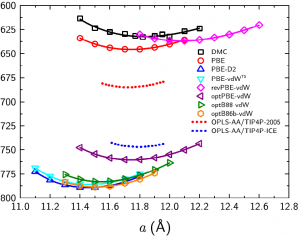 Vibrations and electron-phonon coupling play an important role in charge carrier mobility, the zero-point renormalisation of electronic band gaps as well as in superconductivity. Dr. Samuel Poncé (University of Oxford) guided the audience through the steps needed to incorporate the electron-phonon coupling into ab initio calculations of real materials. Quantum transport and electron dynamics are the area of expertise of Dr. Davide Sangalli (ISM Rome), who started by outlining the basics of quantum transport and made it through to the latest developments in time-dependent many-body perturbation theory. 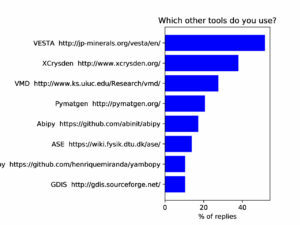 For a comprehensive list of scientific contributions from our ~60 participants, including the six keynotes, 30 contributed talks, and 19 posters, please see the website. Lots of questions were asked both after the talks and during the extensive Q&A session, confirming once more the importance of the industry day in the YRM schedule, as well as the necessity of getting young researchers in contact with perspectives outside academia. 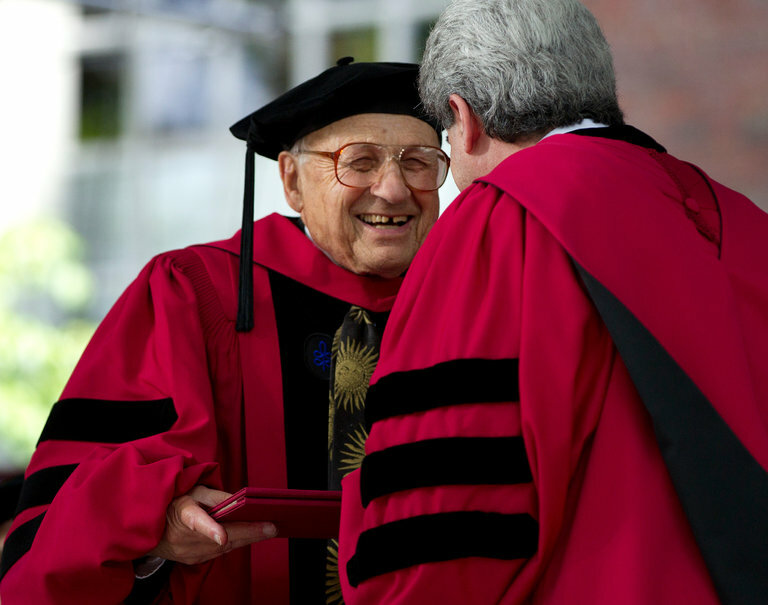 On Thursday, June 8th, we were joined by Dr. Zeila Zanolli, who delivered a memorial lecture on Prof. Mildred Dresselhaus, the “queen of carbon”, who had passed away earlier this year at age 86. Many young researchers were not familiar with the fascinating life story of Mildred and the personal account by Zeila left a deep impression with the audience – both in terms of how “polite persistence” can overcome enormous obstacles, and how we as a society still have some way to go to remove these obstacles. On Friday, June 9th, we hosted the final session on the future of scientific publishing. While many scientists complain about being ripped off by commercial publishers with exorbitant profit margins, very few people actually go out and do something about it. 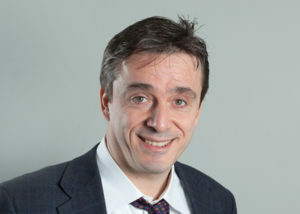 Prof. J. S. Caux, chairman of the SciPost Foundation, and Dr. Christian Gogolin, member of the Quantum Journal executive board, are among the latter category. Through non-profit journals that are both free to read and free to publish in, they are actively transforming the scientific publishing landscape in their fields, and we were thrilled to have the opportunity to discuss with them about the daily business of running a journal, details of the implementation (openness of peer review, acceptance criteria, etc.) as well as their long-term vision. Live coverage was provided by Damien Cornu on the YRM Twitter feed. 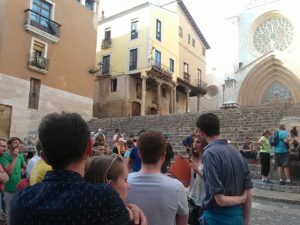 Finally, there was time for less serious matters, too – be it the 8-team beach volleyball tournament (won by Boss-on), the tour through the ancient city of Tarragona or the social dinner beneath the Roman circus… rumours are that some even ventured out to Europe’s tallest roller coaster! 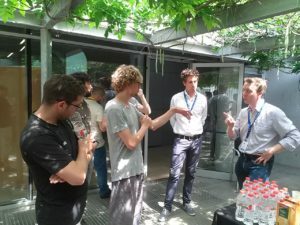 It is this mix of a friendly and relaxed atmosphere with cutting-edge research that makes the ETSF YRM a unique event for young researchers in the field. As tradition demands, the organisation of next year’s YRM was passed on, and we are happy to announce that the 15th edition of the ETSF YRM will take place in Hamburg, Germany (also a first!). Good luck, guys! For this year’s organisers, welcoming young researchers from all over Europe (and beyond) to Tarragona was a long journey that started in June 2016. None of us had organised an international meeting on the scale of the YRM before, we were scattered over Europe ourselves (UK, Belgium, Finland and Spain) and there definitely were some lessons to be learned. A big thank you to today’s communication technologies that let us forget about geography and enabled smooth interactions, both within the team and with the many people who helped us along the way. We would like to sincerely thank Judit Martínez from ICIQ for taking a huge burden of bureaucracy in dealing with the finances. Thank you to our scientific committee (Neyvis Almora-Barrios, Andrés Rafael Botello Mendez, Matteo Guzzo, Phil Hasnip) and supporting organisers (Rex Godby, Xavier Gonze, Núria López, Lucia Reining and Gian-Marco Rignanese) for their hard work and continuous support. 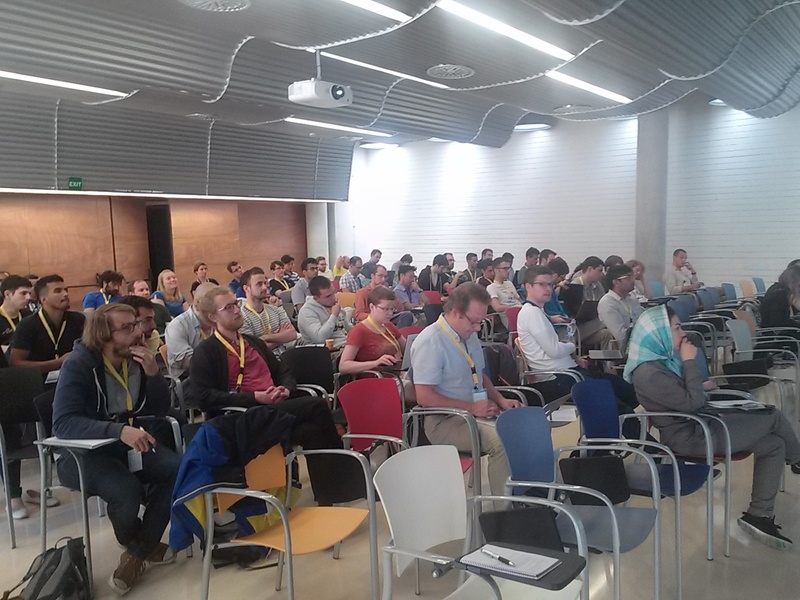 We are very grateful to our sponsors (namely, ICIQ, the Catalan Chemistry Society, HPC Now!, Software for Chemistry and Materials, ICOT and, especially, Psi-k) and, of course, to the ETSF for helping to make this event possible. And last, but not least, thank you to our keynote speakers, session hosts and, of course, our attendees for making the YRM 2017 a fantastic event! P.S. Besides collecting feedback after the meeting, we also collected anonymous statistics on some questions of interest before the meeting, the responses of which were made available to the participants. See below. Very well organised. Thoroughly enjoyable. Some talks had too much detail. Very good, one of the best meetings I went. I really enjoyed the conference. Congratulations to all the organizers. It was the great place and very good organized. The place is really great. Note: Only showing responses with more than one mention. 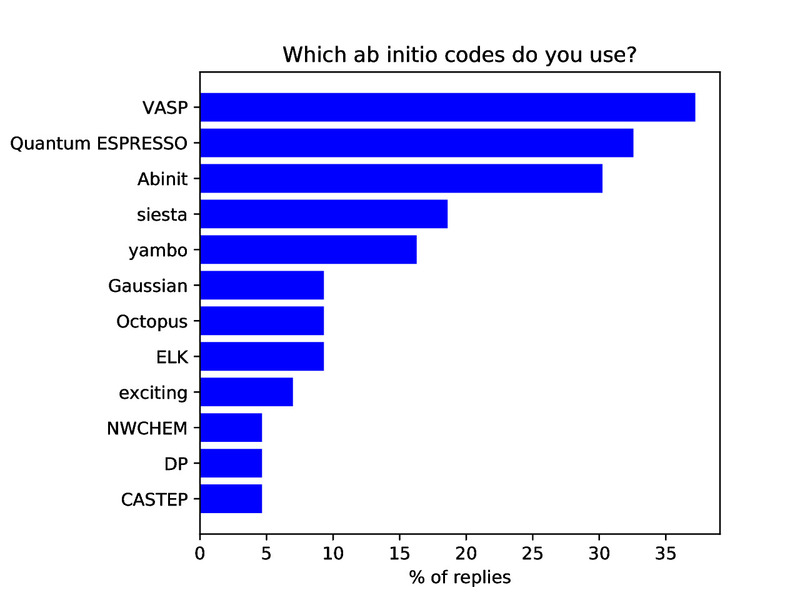 Q1: Which ab initio codes do you use? 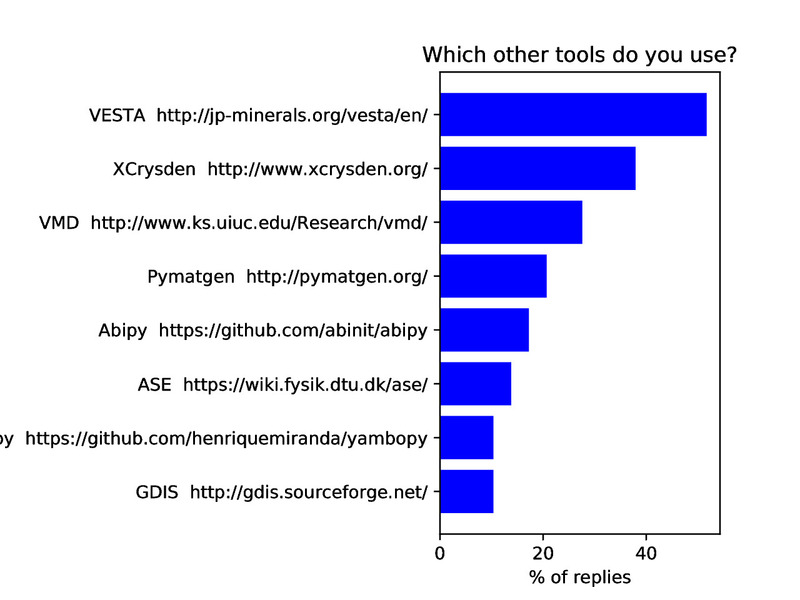 Q2: Which other tools for atomistic simulations are part of your daily routine? 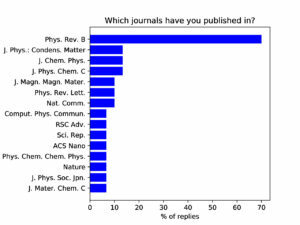 Q3: Which journals have you published in?